This statement explains how we may collect and use information about you through our site. If you have any questions about our privacy policies, want to exercise your right to see a copy of the information that we hold about you, or think that information we hold about you may need to be corrected, please click here to send an email to our data privacy officer. Various forms on our site invite you to submit your contact details and other information about yourself or your organisation, or to send us emails which will, of course, also identify you. In each case, the purpose for which you are invited to give us information is clear and we also indicate which of the requested information is essential for the relevant purpose and which is optional - fields for essential information are marked with an asterisk. 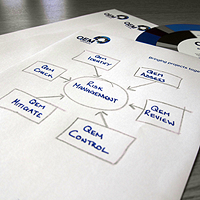 If QEM Solutions proposes to use your details to send you information about events or developments which we believe may be of interest to you (other than information that you have specifically requested), we give you an opportunity to tell us that you wish to receive such information by ticking a box. In addition, you may at any time let us know your preferences by sending an email to info@qemsolutions.com or contacting our database administrator by telephone on +44 (0)1683 300251 or by post at QEM Solutions, 1 Telford Mews, Beattock, Moffat, Dumfriesshire, Scotland, UK, DG10 9SG. We will not use your information for purposes that are not clear when you provide your details, and will not disclose it outside QEMS, except with your agreement or where we are legally obliged to do so. You have the right to see the information we hold about you and to have mistakes corrected. To exercise your rights, please contact our database administrator identified above. You will be able to unsubscribe from receiving information from us at any time by following the 'unsubscribe' link in any e-mail we send to you. Alternatively, you may send a request to the same effect to our data privacy officer. We make sure that all the information we hold on you is stored securely on our servers and we will always follow strict security procedures in storing, using and sharing the information you give us, in order to prevent unauthorised access to it. We will not sell, rent, trade or otherwise disclose the personal information you provide to any third party.